Run Time: 1 Hr. 26 Minutes This DVD covers the family of Smith and Wesson Revolvers. 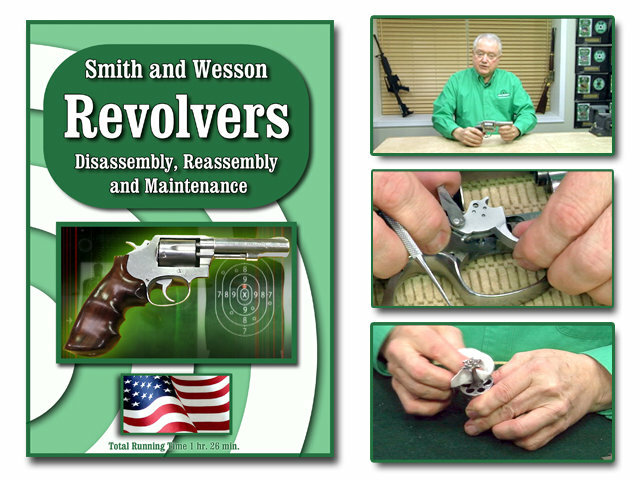 Armorers and New Shooters will find this DVD useful in maintaining these these popular firearms. Larry Shields covers topics including the General Safety Procedure, Complete Disassembly, Cleaning, Lubrication, Reassembly and a brief review of model differences . All On-Target's DVD's are digitally produced and provide clear and concise instructions. We at On-Target take great pride in the up-close videography of each DVD.